We don’t blame you if your mental image of Napa Valley is bathed in a golden light with the sound of wine glasses tinkling in the background. Long a luxurious vacation destination, this winery-laden region is ground zero for restaurants that elevate farm-to-table into an art form, hotels that take spas to new heights and bars that complement the local wine scene. Within an hour drive up and down CA-29, you’ll find charming towns like Calistoga at the northern end, St. Helena and Yountville, down to Napa at the southern end. 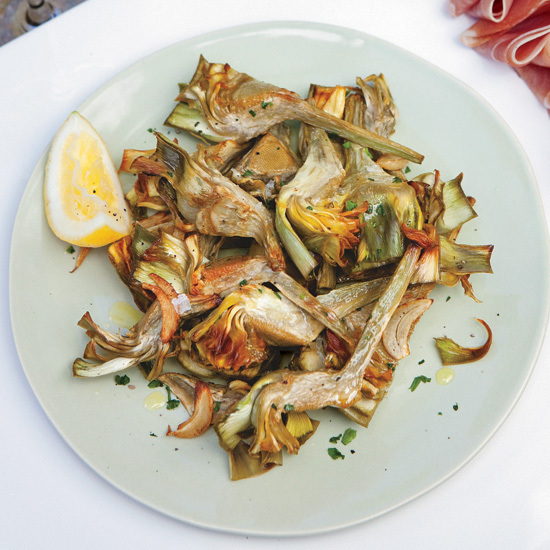 Each town has its own vibe and set of fabulous dining options, but why not sample a little bit of them all? We have you covered no matter your budget. Consider this your home base for a trip that is most likely going to include some level of driving, biking or being shuttled around. Settle into a luxury property from the Auberge Resorts Collection, including the famed Auberge du Soleil (180 Rutherford Hill Rd, Rutherford, CA, 800-348-5406) and you may not want to leave. The iconic hotel houses a one Michelin star restaurant (The Restaurant at Auberge du Soleil), looks out over 33 acres of olive groves, and boasts a renowned spa. If you’re after privacy, try the Calistoga Ranch (580 Lommel Rd, Calistoga, CA, 888-947-6442) which is comprised of individual lodges. For those looking for a wellness-focused stay, complete with plenty of poolside glamour and spa pampering head to the Solage (755 Silverado Trail N, Calistoga, CA, 707-266-7534). You can’t discuss splurging on meals in Napa Valley without mentioning Thomas Keller’s French Laundry (6640 Washington St, Yountville, CA, 707-944-2380), which remains notoriously hard to get into. 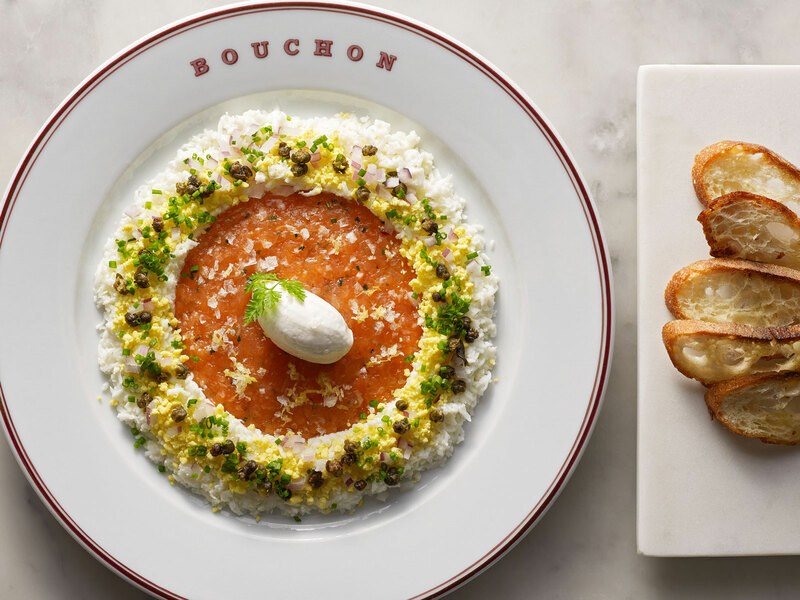 But you can more easily get a taste of his approach to French cuisine at Bouchon (6534 Washington St, Yountville, CA, 707-944-8037) in Yountville. Keller is hardly the one celebrity chef in town though, with crowds still flocking to Michael Chiarello’s Bottega (6525 Washington St, Yountville, CA, 707-945-1050) for Italian regional specialties served in cozy surroundings, while Masaharu Morimoto brings his signature sushi (and the area’s only sake and Japanese whiskey bar) to Morimoto Napa (610 Main St, Napa, CA 707-252-1600). The Restaurant at Meadowood (900 Meadowood Ln, St Helena, CA, 707-967-1205) goes far beyond the typical hotel restaurant, leveraging its 2.5 acre Culinary Garden for ingredients for its artfully plated dishes. Kenzo (1339 Pearl St, Napa, CA, 707-294-2049), a Japanese new restaurant from the Kenzo Estates winery team, was conceptualized by executive chef Hiroyuki Kanda who has earned three Michelin stars for his Tokyo restaurant nine years in a row. And Archetype (1429 Main St, St Helena, CA, 707-968-9200) in St. Helena has one of the most stylish dining rooms in the area—no surprise since the founder is an architect. But the restaurant isn't relying on its looks alone, serving up locally sourced, seasonal dishes that rely heavily on the char that comes from their signature wood-burning oven. If there are two things that go together in Napa, it’s good food and good drinks. 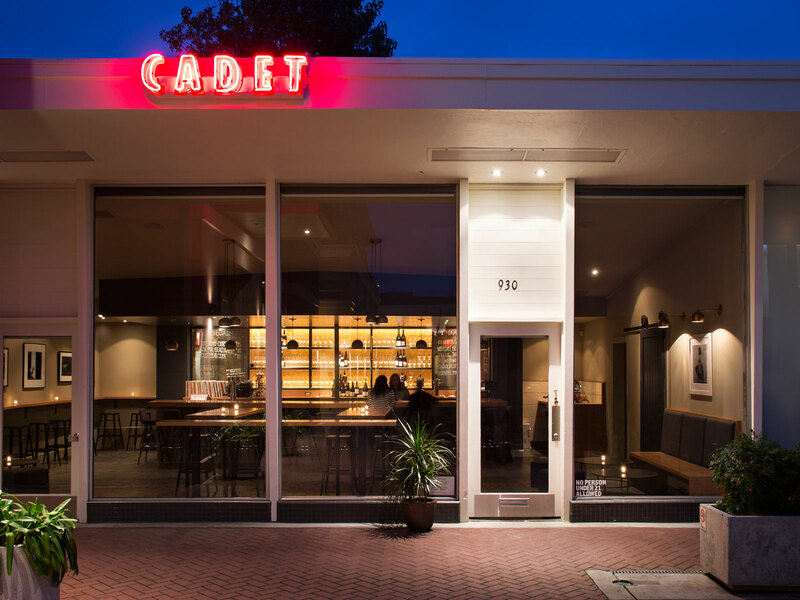 Cadet (930 Franklin St, Napa, CA, 707-224-4400) offers up a fun atmosphere, a comprehensive wine list including international options if you had your fill of local producers during tastings during the day. Mercantile Social (1450 1st St, Napa, CA, 707-687-1234) at the Andaz offers hand-crafted cocktails made with local spirits in an indoor/outdoor setting made for mingling. 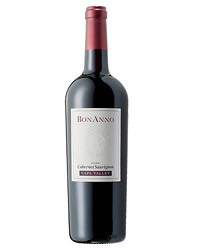 And if you are still in the mood to taste more wine, try 1313 Main (1313 Main St, Napa, CA, 707-258-1313) in Napa, which offers 30 wines by the glass. 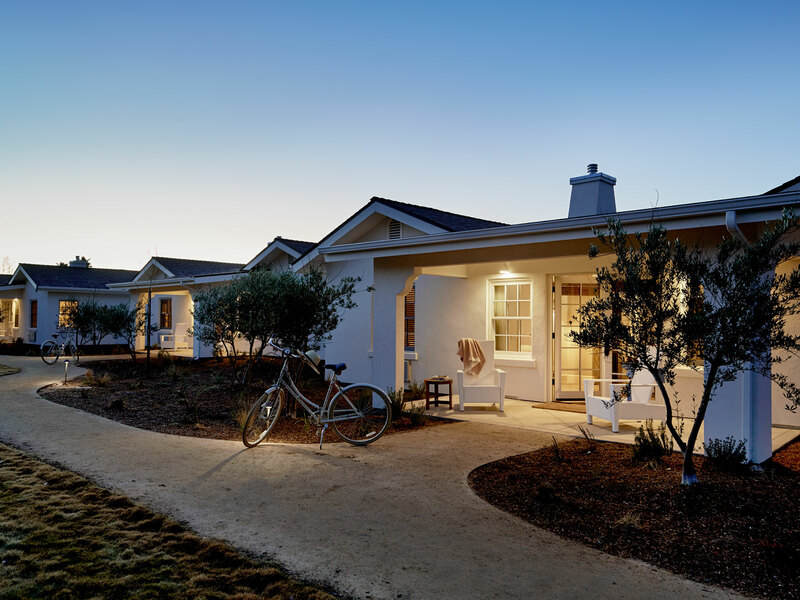 Saving on accommodations in Napa is relative to some of the pricier options, but still doable. Indian Springs (1712 Lincoln Ave, Calistoga, CA, 707-709-8139) in Calistoga offers rooms at its Lodge as well cottages and bungalows for those seeking more alone time. Oh, and they also have a larger-than-Olympic-sized swimming pool heated by their hot springs that is kept between 92 and 102 degrees Fahrenheit. The good news here is that a growing group of the area’s top fine dining chefs have created more affordable options. 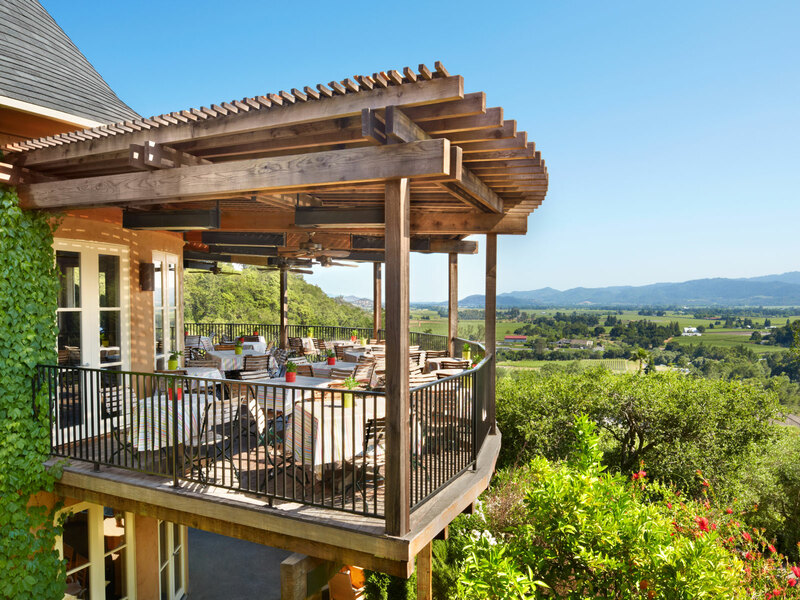 Get a perfect picnic meal from Thomas Keller at Addendum (6476 Washington Street, Yountville, CA, 707-944-1565) Thursday-Sunday for only $16.50, or sit down for a more-in-reach family-style lunch at Charter Oak (1050 Charter Oak Ave, St Helena, CA, 707-302-6996) in St. Helena, the new restaurant from Christopher Kostow and Nathaniel Dorn of Restaurant at Meadowood. 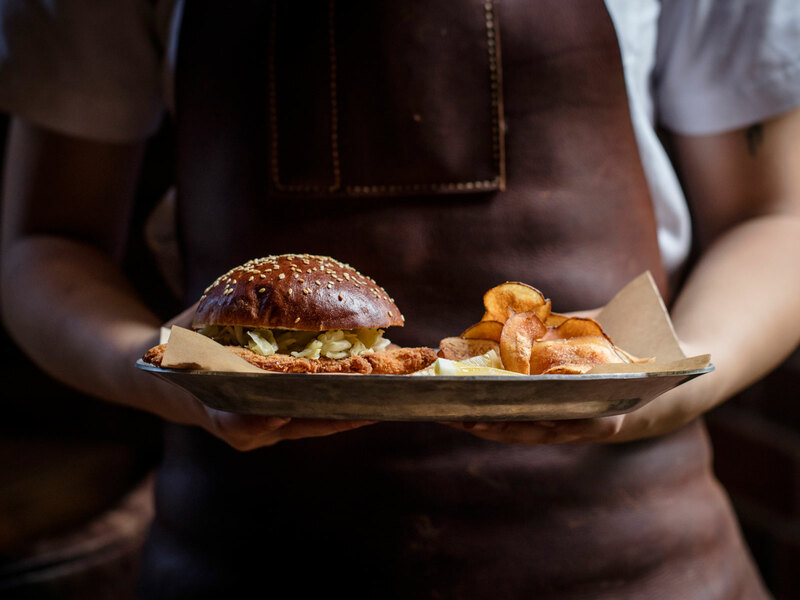 Stopping for food on the road can often be a buzzkill, but the burgers at Gott’s (644 1st St, Napa, CA, 707-224-6900) inspire a rhapsodic response among its fans. If you want to sit in a charming, rustic environment for your burgers, pull over to the Boon Fly Cafe (4048 Sonoma Hwy, Napa, CA, 707-299-4872). Just don’t forget to get an order of their signature doughnuts as well. Or pick up a to-go lunch from the newly opened Culinary Institute of America at Copia (500 1st St, Napa, CA, 707-967-2500), where you can get salads and sandwiches at The Box Office. Can’t decide what you want to eat? 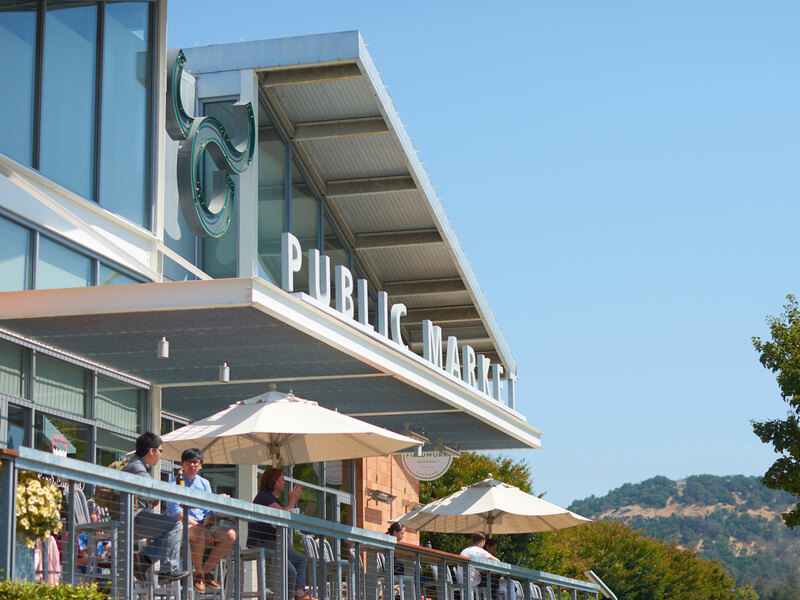 Head to Oxbow Public Market, (610 1st St, Napa, CA, 707-226-6529) where you can choose between a multitude of different restaurants, offering everything from wood-fired pizza to freshly shucked oysters to the much-loved Model bakery’s famous English muffins. While you’re at the Oxbow Public Market, swing into the Oxbow Cheese & Wine Merchant for a cheese board to pair with a flight of wines (or a craft beer, if you are wined out). Wine and BBQ make a suprisingly good pair at the Bounty Hunter Wine Bar (975 1st St, Napa, CA 94559, 707-226-3976), which offers 40 wines by the glass alongside their famous Beer-Can Chicken. Head to Torc (1140 Main St, Napa, CA, 707-252-3292) for Happy Hour, and enjoy $6 cocktails and glasses of wine to enjoy with small bites. Or make a night of it at the Goose & Gander (1245 Spring St, St Helena, CA, 707-967-8779) pairing signature mixed cocktails with a charcuterie board.